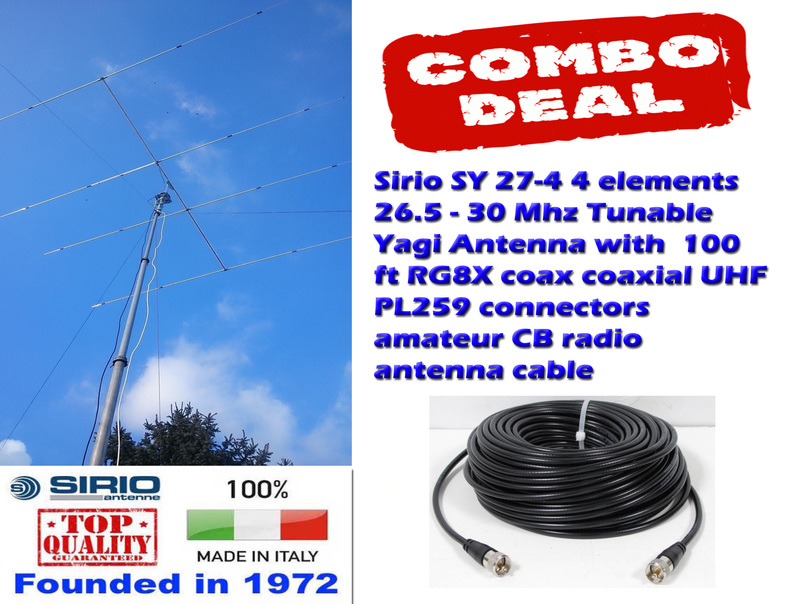 The Sirio SY 27-4 is a very strong but lightweight, high gain quality, Yagi antenna that won't break the bank. It is well constructed and gives great performance on 26.9-27.5 MHz. The SY27-4 is easily adjusted to cover up to 29MHz in the 10 metre Amateur Band. 4 elements Yagi Beam antenna working on 27 MHz band with Gamma Match System. 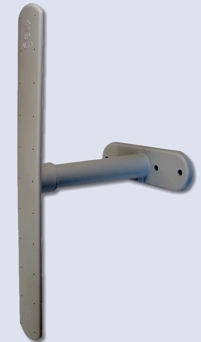 It has been completely made of anticorodal aluminium and supplied with big section Boom and steel bracket for the fitting on the support mast. The fixing part with rapid mounting system is made of die-cast metal to get the maximum strength. Every elements is supplied with jointing sleeves of polythene for a perfect water-proofing. Its supplied with UHF Female connector. This sale is for one brand new, Steren 100 ft long RG-8X coaxial cable with UHF (PL-259) plugs. Also known as Mini 8, this cable is approximately 1/4"" thick. 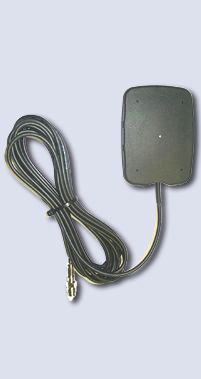 This cable works great for ham radio, CB radio antennas, etc.